Yesterday, after I had finished writing an article, I decided to unplug my laptop and go downstairs to relax on the sofa in the living room. Frustratingly, the one plug close to the sofa was in need of repair and the other outlet was too far away to plug my laptop into. I instead decided to just run the computer off the battery for a while. Once it started to get a bit low in charge, I went back upstairs to plug it in, with about twenty minutes of charge remaining. And that’s when it hit me: It wasn’t charging. I thought the battery was fine as it was the original and looked OK when its information was checked. Being an original battery meant it was also less likely to cause unforeseen problems than some third party batteries. The first thing I did was panic, which in hindsight wasn’t the wisest thing to do. Panicking while the battery is still discharging will only lead to more problems and unclear thinking. After a few moments, I stopped to think while shutting down my laptop about what the causes for this issue could be. A little while later I came up with a few ways to allow the battery to start charging again. Is Windows Causing the Problem? The first thing you obviously need to find out, is whether the problem of your battery not charging properly is related to an issue within Windows or the battery itself. There have been instances over the years where Windows had problems with batteries including the infamous Windows 7 “Considering replacing the battery” error, which was patched later with a hotfix. A good way to find out if the battery is the problem or not, would be to load an alternative operating system such as a Windows or Linux Live CD. Obviously you don’t need a full blown 1GB+ distro, and using one of a few hundred Megabytes should suffice. Slax Linux is great for this being only around 220MB. Alternatively you can use a Live Windows/repair CD such as the great Hiren’s Boot CD or if you have a dual boot system, can simply see if the problem occurs on the other install. If you still can’t get the battery to charge properly from another operating system, it may just be the fact that there is a problem with the battery itself and it may need to be checked by an expert or replaced. 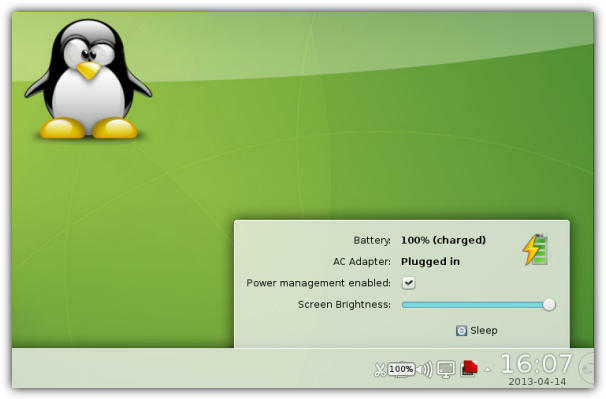 If your battery works as it should in Linux then you can trace the fault to being Windows related, and some of the solutions to fix the problem on the next page could help. My Accer laptop connected but not charging ! Method 1 and 3 presume you can remove your battery. My Toshiba Satetlite doesn’t allow that. And Method 2 did not allow uninstalling the composite (no way to do that) and the middle option forces a shutdown/restart if you pick unistall, and then it automatically reinstalls it and doeesn’t do anything. Stuck at 47%/Not charging. Any other ideas? Method 3 worked for me on Fujitzu/Siemens Amilo. Thanks! Thank you so much for writing this! #2 solved the problem instantly. You are the best! Good fortune to your house. Thank you so much! I thought my Anker battery was kaputz, but your suggestion to go to the device manager to remove the battery related entries and then scanning for changes worked! My battery is charging as I type! I have just connected my spare mother board to the HP genuine charger with a battery fitted and its charging just fine. ( please see my previous post ) so the motherboard is very sensitive to the charger output. I got thrown a wobbly because I checked the voltage at the output of the cheap and nasty generic charger and got 18.4v but when I left the meter connected for 30 sec the voltage was fluctuating between 17.8 and 18.6. beware of cheap chargers !! My experience with a HP note book that refuses to charge and will not start from the mains adapter. This note book runs Linux so no Windows issues. Back to the mains adapter noticed that the charge light comes on for may be 10 sec then goes out so checked the mains adapter again (not hp generic Chinese unit). This time on switch on the voltage was 18.3 then it would fall to 17.5 then recover to 18.3 then fall again to 17.5. We are currently awaiting delivery of a HP mains adapter. We checked a few other generic mains adapters and found voltage variations of up to 3v from the declared output. We also checked a Uniross mains adapter (quite a large unit) and it was 100% accurate, seems you get what you pay for. My Battery level is at 100% but immediately I disconnect the AC adapter the Laptop goes off. I cant even power on the Laptop without inserting the AC adapter. Method 2 and 3 works… for about 5-7 days then I run right back into the same problem. Is this just a continuing problem that I will have to do every week, or is there a more permanent solution? Method 1&2 didn’t worked for me.Now I can’t boot up the laptop after the method 2.What else can I do please help me out if somebody know the problem. My battery charges, but in the bottom right tool bar, under “Safely remove Hardware and Eject Media” where you would normally unplug an external drive from the PC, it says “Eject Microsoft ACPI-Compliant Control Method Battery”. This just started showing up. What is the cause? Method 1 worked for me .Thanks alot. Method Three worked Great.THANKS YOU VERY VERY MUCH…. Unbelievable!! After many wasted hours – Method #1 above worked for me!!! Can’t believe Windows 7 can be so useless. Is there can be help by re-installing new OS??? Thanks! Method 3 worked for me. New battery is charging now. Method 2 worked. So thankful. Method One worked for me!! So In my case whats the problem??? The 3rd option worked for me. Had same problem with HP6530b laptop after upgrading to Windows 10. 2. Under batteries my computer has (3) entries: (1) Microsoft AC adapter and (2) Microsoft ACPI-Complient Control Battery Method. Left click on the 3rd item to select: Microsoft ACPI-Complient Control Battery Method. The right click and select disable, then exit. 3. Went into BIOS by restarting the computer and hit esc key during start up. 4. Select system settings and disable (1) 2nd battery fast charging (2) wakeup on LAN. Save and exit. Hope this work for you also. i’ve had my TOSHIBA UltraBook for just about over 2 years and a month ago it started the “plugged, not charging’ situation and i got really frustrated! i searched up many solutions and it did not work, so then i tried to figure it out by myself and it worked… BUT! TODAY it happened again and now i have no solution left to use!!!!!! IM URGENT FOR A SOLUTION! I cant take out the battery because i just can’t its not possible. ive tried uninstalling the method battery thing in device manager and restarting but that didn’t work either!!! HELP ME PLEASE! I tried these and bought a new battery. Even the new one is not charging. Thank you so much for advise. Method two worked for me. Has been driving me mad. Thanks!!! My PC is Toshiba and the battery is inaccessible (is inside the laptop-i dont know why they did that),…the battery indicator on the taskbar tells 0% available (plug in, not charging) and the red light which indicates charging is off,…please tell me what to do. i am using my laptop as a desktop..
That normally means your battery is on the way out. A few laptops have an option in the BIOS to cycle the power of the battery but most don’t, the likely option will be buying a new battery. It was a brand new laptop (first day of use) and I was very worried that I could go the trouble of contacting suppliers and waiting for weeks. This worked first touch. Thanks for putting this up! Thanks, this saved my laptop!! Wow, it worked. I used the uninstall and then scan for changes. I use to have to keep my computer plugged in at all times. Thanks so much. You rock!!!! Thanks you its charging now I used option 2 on the article! second solution worked 1st time!! Thank you, you have been very helpful. Uninstalling and reinstalling the battery control worked for me. Yea! That 2nd shot really did work. Thanks. Thank you so much!!!!!!!!!!! I took your advice and took out the battery and then put it back in while my computer was on, and it finally started charging again! Thanks for this fix. It worked great for me and fixed my charging problem. Device Manager Solution worked on my Compaq laptop, I have been fooling with it for over a month, plugging and unplugging, let the battery sit out, all other solutions were temporary, but uninstall the driver of the battery management really work! Now I can wait a bit long before I have to buy another computer. thanks man!!! !it works for me. thank you again haiti is with you . i use this the first method, i didn’t use the manager thing. Thanks to Raymond.cc. I’ve got a solution now. I wasn’t aware of this until yesterday, 28th when a client came to me with the problem. I was like how could Windows 7 causes such problem. Thank God. believe me I was driving crazy since I has the same issue.